CBD Oil (cannabidiol) is the non-psychoactive phytocannabinoids found in hemp. Unlike other cannabinoids, CBD contains very little (<0.3%) THC, the main psychoactive component in the cannabis plant. Thus, CBD has no mind-altering impact and is legal in the US. CBD works to strengthen the Endocannabinoid System (ECS) in our bodies. 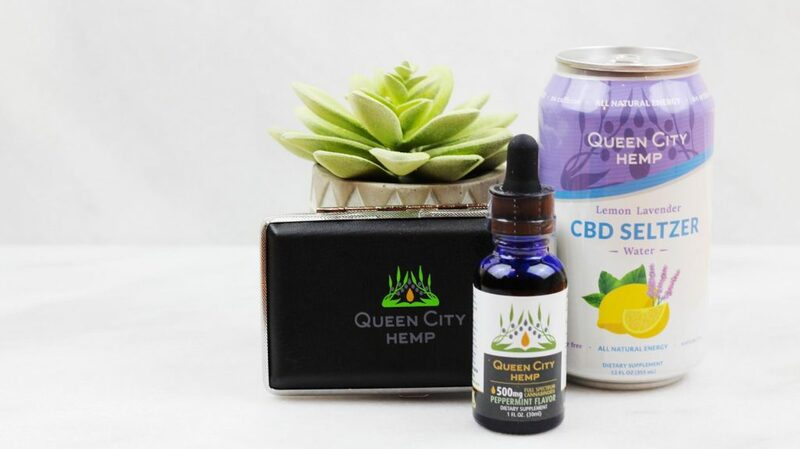 The ECS contains CB1 and CB2 receptors throughout the body; in the brain, organs, connective tissues, glands, and immune cells. It helps decrease inflammation and anxiety, regulate appetite and sleep patterns, and boosts our natural production of Endocannabinoids. For further reading, check out our blog post, How CBD Oil Will Blow Your Mind (And Convert You to Hemp). Call us at 513-791-9474 for questions, or feel free to stop in to pick up a bottle! No. CBD comes from the female hemp plant cannabis sativa, and only has <0.3% THC (the psychoactive ingredient found in marijuana). For comparison, marijuana typically has between 5-35% THC. “Full spectrum” means that your CBD contains all the naturally-occurring terpenes, flavonoids, and phytocannabinoids that are found in the plant. Should I buy organic CBD? Yes! When possible, you will always want to choose “organic” or “grown with organic practices”, because hemp is one of the most pesticide-sprayed crop. Most people are able to take CBD, however, you should consult with one of our providers or your family physician to make sure it’s right for you.